There are some good documentaries that have come out recently in which I have been able to indulge in my obsession. Happy People by Werner Herzog follows a year in the lives of hunters in the Siberian Taiga. I loved it. Herzog always has an interesting perspective. My only gripe is that for my tastes, it's focus was too narrow. It focused solely on the hunters as they made their preparations for leaving their families for many months to hunt. I also wanted to see what life was like for the families (i.e. women and children) that they had to leave behind. Still...a worthwhile portrait of the people that inhabit this remote area. And now I will look forward to seeing Aatsinki. It's being released on January 25th. 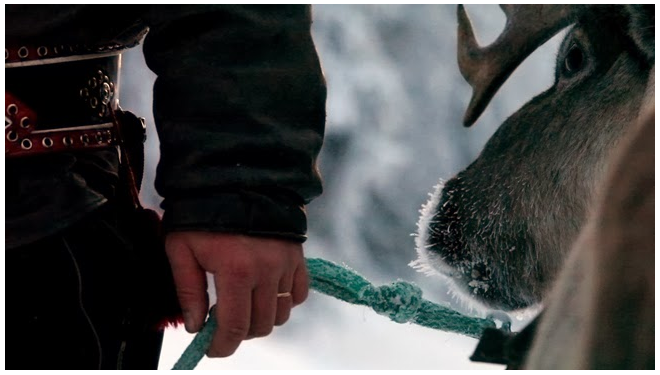 It follows a year in the lives of families of reindeer herders in Finnish Lapland. Looks to be very interesting, with a lot of beautiful, stark landscapes. I am hoping that it will maybe be a more well rounded portrait of the families, even though it is advertised and focusing on 2 "Arctic cowboy" brothers. Well, in the Midwest here we're bracing ourselves for some very low temperatures next week. 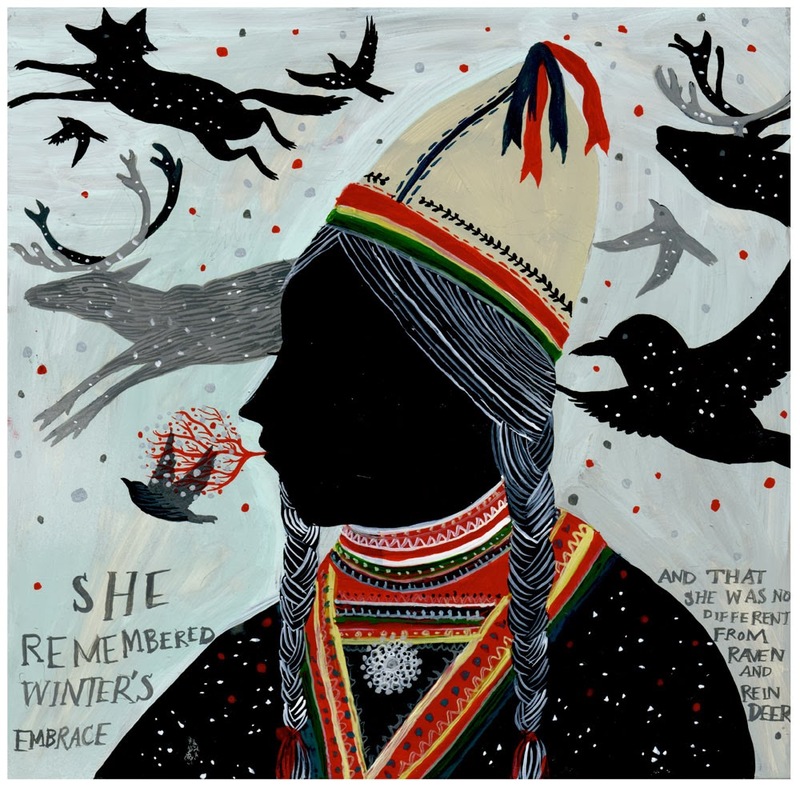 Maybe my obsession with cultures that live in arctic climates, helps me to keep things in perspective here. Have a lovely weekend and stay warm! Lovely to see you back here. It is fascinating how those people live, their traditions, I like the Sami people and their colourful garments, I tried to include some of their pattern in some little cute characters I did a while back :) They seem happy enough even in that cold, although how long that will go on for....hopefully forever. Thanks for checking in, Julie : ) Yes, the Sami have a very interesting clothing aesthetic that is definitely very appealing. Illustrator, animal lover, amateur naturalist & Field Museum volunteer.